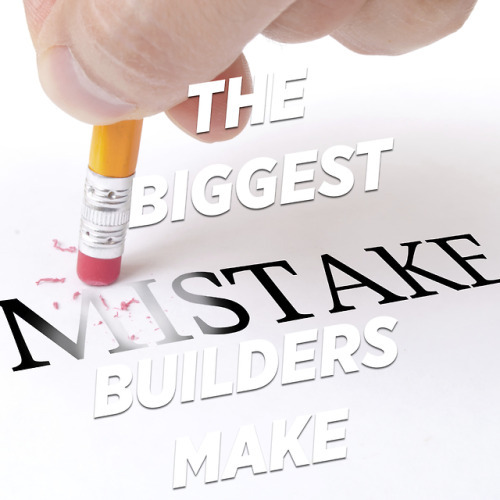 The biggest mistake builders make! The reason I’m bringing up that quote is, the biggest mistake builders make is trying to do what other builders do, but better! My question is, what if what you’re trying to copy is fundamentally flawed? It’s basically like trying to race a modern race car, when you’re in a model T Ford. It really doesn’t matter how good of a driver you are, or how well tuned up your model T is, you are never gonna win! Having time off without worry or stress. When you’re looking at other building businesses to model improvements for your business, here’s a few things to consider. Most of the ones you see that look successful, really only “look” successful. Scratch the surface just a little, and you’ll find stress, debt, and struggle. The second thing to consider is, when you’re looking at a business that is much larger, and seemingly successful, the mistake that is made is trying to emulate how they are, and how they operate now. Whereas, the key is to find out what they did, and how they thought back when they were your size, so you can follow the journey, not become like them overnight. My point is there are many moving parts that will make a successful building business. It’s never just one or two things. So you need to find proven models that work for you now. If any of this made sense, and you’d like to have a bit more detail on how this might work for you, join me for a free training session called “true builders wealth”. You’ll see very quickly the simple things that you can implement into your building business that will begin that journey of genuine improvement in the areas of both financial and time freedom. As well as getting back to really enjoying your business again.